Poundbury. Powered by Vision, Farmers and Unicorns. The U.K.'s 1st biogas to grid anaerobic digester plant, Rainbarrow Farm in Poundbury, has sparked almost 100 AD projects since 2012. Poundbury is based upon the sustainable vision of H.R.H. The Prince of Wales and the urban design of Leon Krier. Peter James, H.R.H. The Prince of Wales and Nick Finding. Photo © 2011 J.V. Energen LLP. Used with permission. How many of us think about where our power comes from? When we flick a light switch or choose the elevator over the stairs, do we picture a coal miner or a nuclear power operator, or gas and oil flowing from Russia through the Ukraine to Europe? And if we did, would it change our personal habits, and our activism around sourcing energy locally? That’s what I loved most about touring the Rainbarrow Farm Anaerobic Digester Power Plant in Poundbury, England, owned by J.V. Energen LLP. Rainbarrow became the 1st anaerobic digester biomethane to grid plant in the U.K. in 2012. The local farmers supply the maize and rye, and the by-product is an organic digestate, which can be used to enrich the soil, creating a virtuous circle. In addition to power, J.V. Energen is now selling Bloomin Amazing organic soil enricher in garden centers across the U.K. Sales are, well, bloomin amazing, as the product ranked #12 last week on the GTN bestseller’s list, alongside the giants in the industry. Matthew Mein, Nick Finding (director of J.V. Energen LP), and Richard Pyrah. ©2018 Nick Finding. Used with permission. Thanks to the Rainbarrow Farm, Poundbury’s heat is 100% local, renewable and sustainable, and about 97% fossil-fuel free. (There is a nominal amount of propane, about 3%, that is added to the methane gas.) You can walk through the fields where the crops are grown, on your way to Maiden Castle (an Iron Age settlement and Roman Fort). The purified methane gas is distributed locally first, heating Poundbury and then Dorchester. During the summer months, the energy extends to up to 65,000 homes in the surrounding cities, including Weymouth. (There are currently about 1500 homes in Poundbury, with a total of 2700 dwellings to be completed by 2025). Compare that to the U.K. electric grid, which is still 44% fossil fuels. 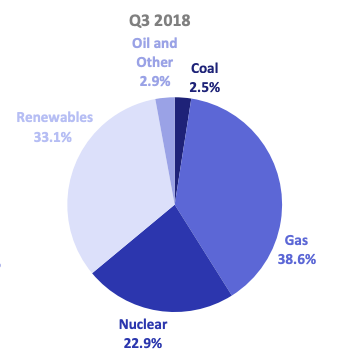 1/3 of U.K.’s electricity is imported (31.8%). So, it’s easy to see the political advantages of greater energy independence, which is happening at a good clip these days. Since Rainbarrow Farm became the 1st biomethane to grid plant in 2012, almost 100 Anaerobic Digestion projects have sprung up. Peter James and Nick Finding, two of the originators and directors of the J.V. Energen LLP project, were awarded the UK’s Energy Innovation Award in 2013. Bloomin Amazing is expanding. Next, they plan to capture the CO2 and sell it as a clean fizz to beer makers and soda manufacturers. “We think that in 5 years time, if you are drinking something fizzy that’s come from a renewable source, that will be more valuable than something that has come from a non-renewable source. For instance, organic beer can be truly organic.” Peter James told me. They are also on the look-out for a sustainable solution to the plastic packaging of Bloomin Amazing. At the beginning of Rainbarrow Farm in 2012, that meant being on call 24/7 to work out the kinks of smooth operations versus what will gum up the works (such as citrus waste). Imagine putting in a full day at the farm or office and then running over to your second job of powering an entire community. Nick and Peter laugh and joke about getting their Wellies wet in the middle of the night, but you can see the relief in their eyes that their most persistent worry now is keeping the team in place, rather than doing everyone’s job. AD is growing so rapidly in the UK that the AD specialists at Rainbarrow Farm are constantly being headhunted. 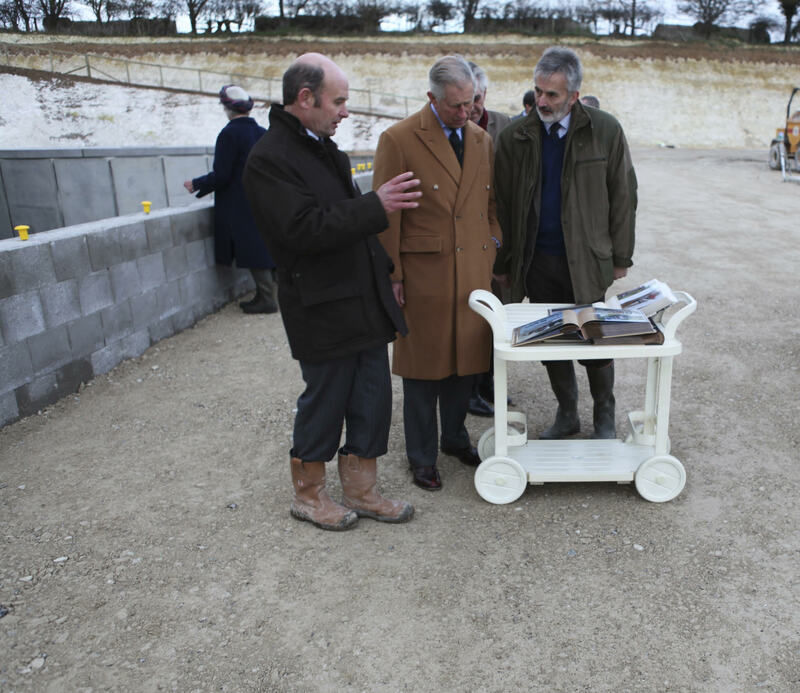 Living in Harmony with the environment is embedded in the ethos of everyone working at the Duchy of Cornwall and J.V. Energen. Sustainability is one of the quantifiable line-items that must be included on the spread sheet, alongside profitability, and will be looked over with a keen eye by The Prince of Wales. However, that is not the framework of all of the partners who came together for the joint venture. When I asked Peter what it takes to bring together farmers, financiers and utility executives to create the country’s first gas-to-grid plant, he credited passion as key. “You have to be passionate so that you can push the stakeholders, who don’t have the freedom that we have,” Peter James explained to me. I don’t believe Peter has dropped the word freedom lightly. While others might consider sustainability to be a constraint, for Peter and Nick it is just the way life is, an ethos that underpins their equity partnership with H.R.H. The Prince of Wales and The Duchy of Cornwall. There is still the challenge of greening the electricity in Poundbury. That task has been taken up by Daniel Cole and Martin Hawkins, and their company Wessex EcoEnergy. EcoEnergy offers a solar slate product that has an aesthetic appeal, the Tesla Wall battery and even an external solar office design that offers a functional space, which incidentally powers the home. 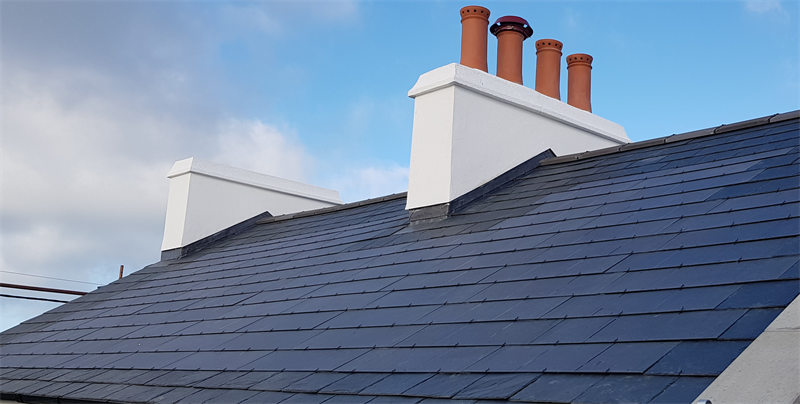 PV Slate by GB Sol. Installation by Wessex EcoEnergy. Photo used with permission. Wessex EcoEnergy’s revenue has doubled year over year and should hit the million pound mark this year – quite an achievement for any company that is only going on 5 years old. Solar, combined with the Tesla wall, offers 24/7 power on sunny days and massive savings on your electric bill. Chris Gandy & Mike Walker of Poundbury – customers of Wessex EcoEnergy – point out that in addition to being pleased with the green aspect of solar, their utility bills are much lower. Nick and Peter have made farm waste fashionable. If they have their way, organic fertilizer and green fizz (CO2) for your organic beer will become de riguer, as well. Daniel and Martin are happy to install lovely solar slates on your rooftop, or a functional solar garden office, with a battery back-up Tesla wall. All together these local, renewable energy products promote fresh air, a healthy planet and peace on earth (due to a reduced reliance on foreign energy) – a powerful mix for this quaint community of Poundbury. Perhaps micro mobility will be the challenge that sparks the next unicorn business here, as it has in Paris and Santa Monica . “The many environmental and social problems that now loom large on our horizon cannot be solved by carrying on with the very approach that has caused them… Our children and grandchildren will ask not what our generation said, but what it did. Let us give an answer, then, of which we can be proud.” H.R.H. The Prince of Wales, from his book, Harmony. Meet England’s Most Powerful Green Lobby. The 4-9 Year Olds at Damers First School.